"The BMW i8 is a game-changing hybrid super car that makes the Audi R8 and Porsche 911 feel and look dated." States Auto Express in reviewing the plug-in hybrid BMW i8. Auto Express is specifically referring to the amount of technology you'll find in the i8, as compared to the Audi R8 and Porsche 911. However, if you're expecting the BMW i8 to be able to go toe-to-toe with the Porsche 911, then you'll be disappointed to learn that it's not capable of keeping pace with the 911. "The BMW i8 makes the Audi R8 and 911 feel a bit old, but the Porsche is still sharper. What's clear though, is that BMW has definitely done enough to keep Audi and all other sports car manufacturers on their toes." 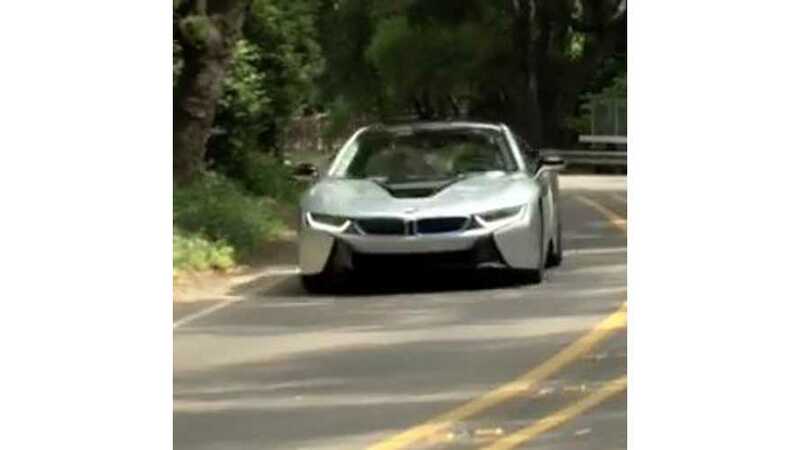 Check out Auto Express' video review of the BMW i8 to see how it stacks up against some of its non plug-in competitors.